A chance to improve fitness and be active with support from our great team at a variety of venues depending on the sport. We will be offering a range of sporting activities. Young people can access these activities by looking on our website and booking on to each session. You can send yourself a reminder email three days prior to events taking place. 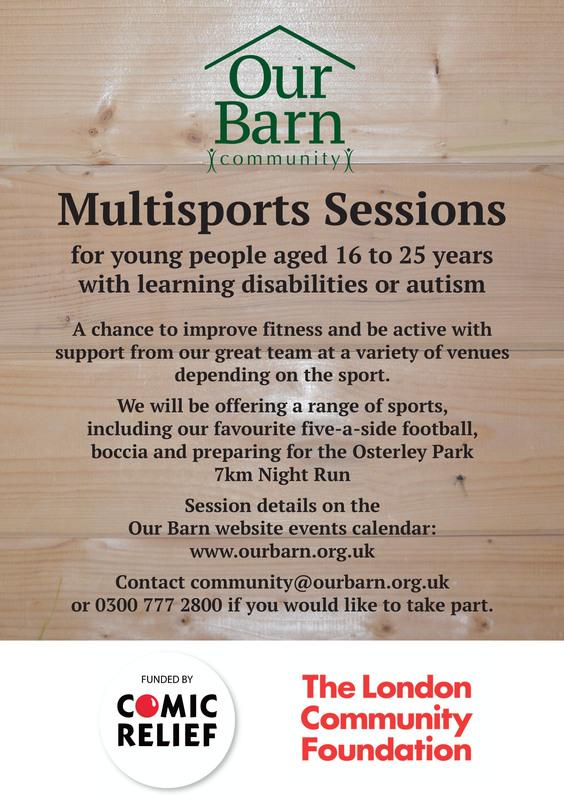 'Our Barn Multisports' took place on 12 February 2019.